« Science is beginning to support the use of essential oils as an effective alternative medicine! Need a unique gift for your dog or a dog lover? Try the BarkBox! Need a unique gift for your dog or a dog lover? Try the BarkBox! When you sign up for BarkBox, every month you will receive a box in the mail with four or more carefully selected products and presents specifically for your dog – anything from toys, bones and all-natural treats to hygiene products and innovative new gadgets! 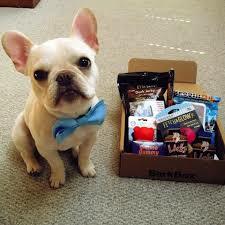 A portion of proceeds from each box will go to help doggies-in-need. Whether you’ve known your furry friend for years or have a new special canine in your life, BarkBox is a great monthly treat for keeping your pup entertained and feeling well loved. For more information check out their website or visit their Facebook page! This entry was posted on December 17, 2013 at 5:52 pm and is filed under Uncategorized. You can follow any responses to this entry through the RSS 2.0 feed. You can leave a response, or trackback from your own site.